Tonight, CBS is set to premiere their new comedy series The McCarthys: A promising new sitcom which is set to follow a close-knit, sports-obsessed Boston family. Starring Rescue Me's Jack McGee, Roseanne's Laurie Metcalfe, and New Kids on the Block's Joey McIntyre, the sitcom isn't lacking in familiar faces — but its lead star is, perhaps, the most familiar of all. Tyler Ritter, son of late television star John Ritter, headlines The McCarthys as Ronny McCarthy, a 29-year-old openly gay man who is persuaded by his family not to leave Boston for an opportunity to move to Providence, Rhode Island, when his father hires him as an assistant basketball coach at the local high school. Indeed, Tyler is the son of legendary television star John Ritter, who rose to fame during the late '70s thanks to his role as Jack on Three's Company. 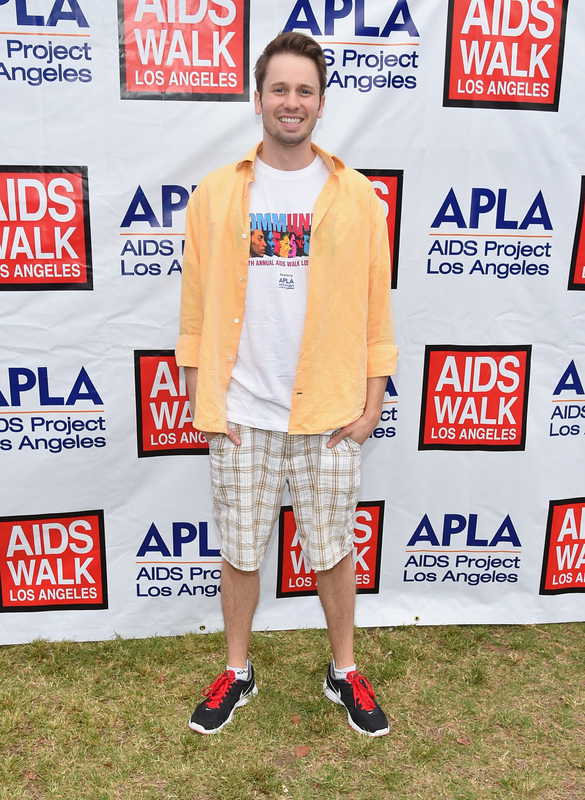 However, he's not the first Ritter child to break into showbiz like his dad: Jason Ritter, who you may recognize from Parenthood , is his older brother, Carly Ritter, who is a singer and has appeared in a handful of films, is his older sister, and Stella Ritter, who has also appeared in a couple of films, is his younger sister. As far as first roles go, that doesn't sound like a terrible one to nab. In The McCarthys, Tyler plays a gay man, which has prompted comparisons to his dad's role as Jack in Three's Company - a straight guy pretending to be gay to his landlord in order to live with two girls. Tyler acknowledges the resemblance, saying, "It's a similar enough character, we're both kind of goofy. We trip every once in a while, whether it's physically, or over our words, or just socially. So there are enough similarities between Ronny and Jack." "Every child goes through that moment — where if they idolize their parents or their older siblings and they see those people loving their work and loving their lives in that sphere … [and] wonders if they could tap into that and still have their own identity." Which brings us to The McCarthys! Considering the premiere is scheduled for tonight at 9:30 on CBS, I think it's safe to say that anticipation for the series — and Tyler Ritter's impending stardom — is definitely at an all time high.